In the first part of this groundbreaking three-part webinar series, Mark Janikula, ND will introduce webinar attendees to the essential foundations of homeopathy by rooting the key principles put forth by Samuel Hahnemann in the Organon of Medicine. After completion of the webinar, clinicians will have a better understanding of the vital force in health and disease, recognize dynamic versus non-dynamic imbalances, and appreciate the importance of characteristic symptoms in the selection of a remedy. This lecture will focus heavily on examples of characteristic symptoms, concepts of dosage, and long term follow up and homeopathic management in the majority of cases not relieved by a single remedy. Dr. Janikula will integrate homeopathy into naturopathic philosophy, dispel common homeopathy myths, and offer further tools to support your practice of homeopathy as a naturopathic doctor. The second installment of Dr. Janikula’s 3-part webinar series on foundational homeopathy will take a closer, more thoughtful look at the diagnosis of depression and related disorders and the prescription of homeopathic remedies based on characteristic symptoms. Case after case will be explored to illustrate homeopathic concepts, concisely emphasizing characteristic symptoms in the selection of a remedy. Dr. Janikula will explain how adequate case management can help clinicians achieve better results and move patients from chronic disease to cure. Recognizing the difference between acute disease and acute flare of chronic conditions will be discussed. Finally, common homeopathic remedies for depressive disorders will be reviewed for both advanced and beginning clinicians. In the final installment of this three part series, Dr. Janikula will apply the tools and remedies outlined in his previous lectures to diagnosing and managing anxiety with homeopathic remedies. Using examples drawn from his extensive clinical experience, Dr. Janikula will share techniques for identifying characteristic mental and physical symptoms of anxiety and corresponding homeopathic remedies. Webinar attendees will gain an in-depth understanding of homeopathic remedies for anxiety and related conditions, learn to prescribe dosages on a case-by-case basis, and create case management plans that are patient-centered and results-oriented. Mark Janikula, ND is the co-founder and president of Fountainhead Naturopathic Mental Health Clinic, a non-profit practice devoted to the treatment of mental illness with homeopathic medicine. He is passionate about revolutionizing mental healthcare with compassion and integrity, and is committed to training naturopathic doctors to treat mental illness safely and effectively. In pursuit of this goal, he is working to develop a naturopathic residency program with a focus on homeopathy and mental health. 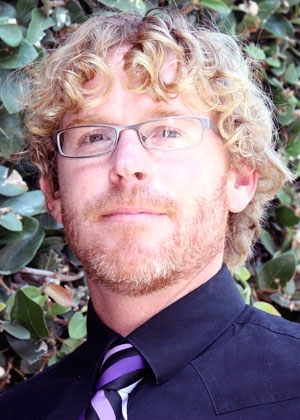 Dr. Janikula is a graduate of Southwest College of Natural Medicine and practices in Capitola, CA. The speaker was fantastic! It was detailed, covered materia medic, different dosing, interesting cases. It was so refreshing to listen to lectures on homeopathy and get back to our roots. Excellent seminar and refresher on homeopathy! I would definitely recommend! I really liked the intentional evaluation of dividing the case into lifestyle and dynamic disease. That's so helpful because it makes sure we don't waste time trying to treat lifestyle imbalances with homeopathy. The discussion about how we are all so obsessed with treating "the cause" was fantastic. Dr. Janikula is an inspiration for budding homeopaths. The cases presented were extremely valuable to the general practice of treating mental disorders. I will definitely apply the resources shared in my case management. Wonderful! I really enjoyed the seminar! I'm so glad I was able to learn from someone so knowledgeable in both anxiety and homeopathy. Homeopathy plays a big role in my practice and this webinar enriched my treatment abilities, giving me more confidence in managing anxiety. I highly recommend this series! All around wonderful presentation. I hope the CNDA has more homeopathy webinars or seminars with this presenter. Thank you.